Imagine starting your day at one of Inlet Beach's delicious restaurants, the smell of coffee and sea air mixing over your table, and the sun just rising behind the palm trees. Another great day is materializing here at Inlet Beach, florida, and the days adventures are just forming in your mind. It looks like this new development will bring a restaurant and some shops to Inlet Beach. You can also go west on 30A to Seagrove Beach, or east into Panama City to find a restaurant until this one opens. This new development is at the far east end of Inlet Beach, on route 30A, just before the Hwy. 98 intersection. We have provided some links above to some of the fun things to do at inlet beach, and all destin area beaches You will have to go into destin to rent the pontoon boats, but the kayaks can be delivered to your condo at inlet beach. Be sure to observe the beach safety flags when you visit the beach. 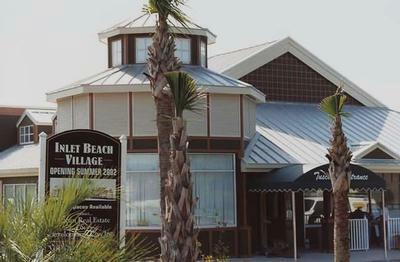 As far as restaurants are concerned, you aren't far from seagrove beach, and about the same distance from panama city beach.